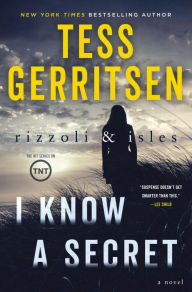 I Know a Secret by Tess Gerritsen is the very highly recommended twelfth installment of the Rizzoli and Isles crime series. Boston PD detective Jane Rizzoli and medical examiner Maura Isles are investigating homicides that are linked by more than just the investigative team. Indie horror filmmaker Cassandra Coyle is found murdered with her eyeballs cut out and put in her hands. When Timothy McDougal is found dead with three arrows in his chest, Isles and her priest friend realize that the two murders have been done to resemble pictures of the death of saints. Specifically these two murders have been staged to depict Lucy, patron saint of the blind, and Sebastian, patron saint of archers. They soon discover that what ties the two victims together is that twenty years ago they were children at a local day care center during an infamous child abuse case. Now the two must find out who the killer is, as well as who might be the next victim. While investigating these cases and others that may be tied together, the two women are also facing some struggles in their personal lives. Even while Maura's biological mother, the infamous serial killer Amalthea Lank, is dying from cancer, she still finds a way to get into Maura's psyche with a comment that may apply to her current cases. Rizzoli is watching her own mother's unhappiness grow while her spirit is being crushed from staying in a loveless marriage. This is an intense, extremely well written mystery that will hold your rapt attention from beginning to end. Those unfamiliar with Rizzoli and Isles will easily be able to enjoy this suspenseful novel even if it is their first book in the series. Although the two character are well established at this point, Gerritsen provides enough character background along that way for anyone to easily slide right into this novel and enjoy Rizzoli and Isles for the first time. Expect some twists and surprises. 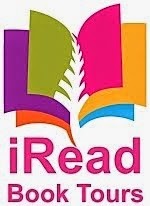 This is one you won't want to put down once you start it.